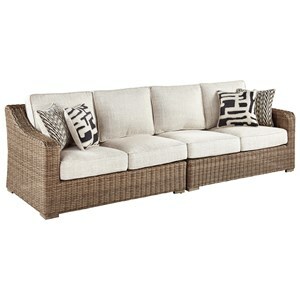 Give your outdoor space the ultimate lounging area. This two-piece L-shape sectional and lounge chair feature durable beige Nuvella™ solution dyed polyester fabric. Six accent pillows are included with the sectional. 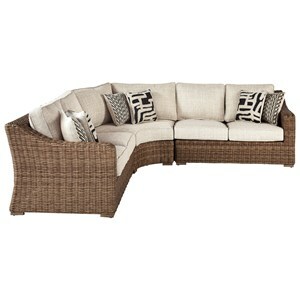 All pieces are constructed with aluminum frames with resin wicker in a brown finish. 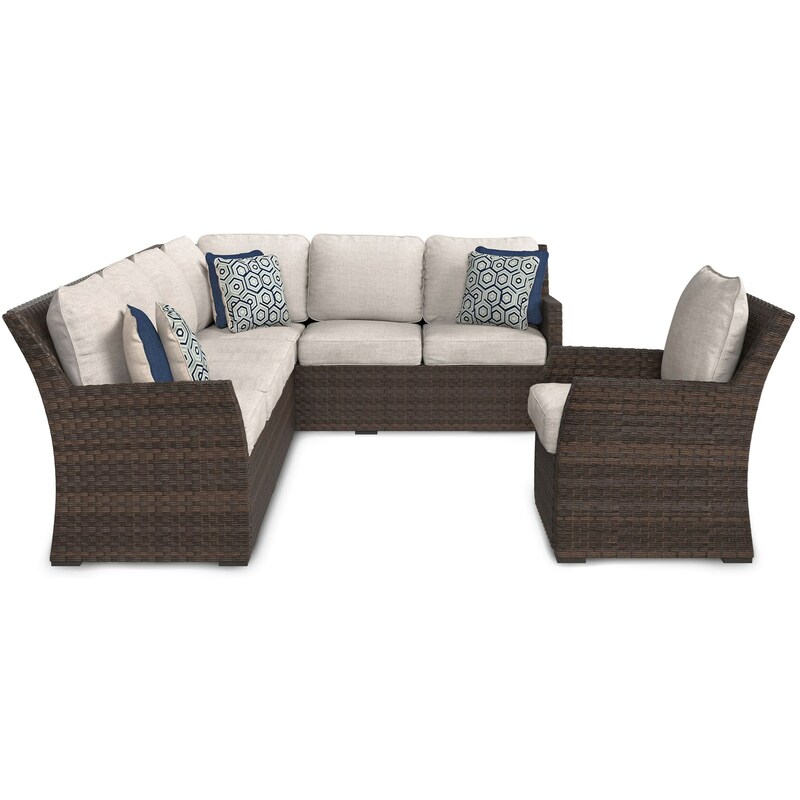 The Salceda Outdoor 2-Piece Sectional & Lounge Chair Set by Signature Design by Ashley at Miskelly Furniture in the Jackson, Pearl, Madison, Ridgeland, Flowood Mississippi area. Product availability may vary. Contact us for the most current availability on this product.